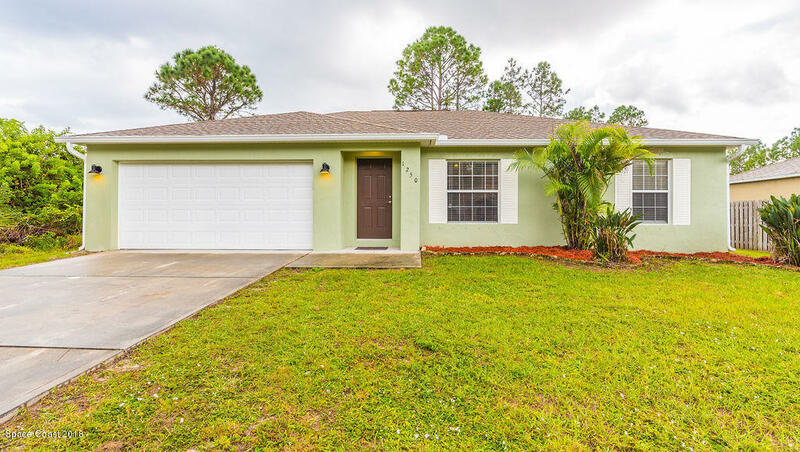 Beautifully updated concrete block home with a split bedroom floor plan. This home boasts a brand new kitchen with stainless steel appliances, granite counter tops, and a farm sink. All new light fixtures, both bathrooms have been updated, the master bathroom features a walk-in shower, new tile floors in all common areas with new carpet in all three bedrooms,brand new water treatment system, and spacious backyard. Relax and enjoy in your enclosed screened back porch. The interior and exterior of the home has been painted. Hurricane Shutters included.